The Community Works-TCC (Teens, Crime & Community) program was created to reduce the alarmingly high rate of teen victimization, and to engage young people in their communities. The program teaches teens ways to protect themselves from crime, and provides them with opportunities to develop safer, more vital communities. Community Works-TCC seeks to tap and focus teen’s energy, talent, and enthusiasm so they can participate in their communities as responsible citizens. Community Works-TCC is an initiative of the USA National Crime Prevention Council. It was created in 1985 with support from Street Law, Inc. and the office of Juvenile Justice and Delinquency Prevention (OJJDP), office of Justice Programs, U.S. Department of Justice. It brings together the crime prevention expertise of the National Crime Prevention Council and the innovative educational and curriculum expertise of Street Law, Inc. The purpose of the Community Works program is to empower young people with the message that they can change their lives for the better. The program’s three components —a curriculum of interactive sessions that provides practical crime and HIV/AIDS prevention knowledge, community resource people, and service-learning projects—provides them with the tools and skills they need to create that change. The Community Works program is based on many years of experience working in schools, juvenile justice facilities, and community-based organizations. The program is the culmination of an effort to bring the strengths of the TCC program to school and community settings. Community Works is designed to provide teens with highly interactive, topical sessions that appeal to young people and hold their interest. Community Works is a program that combines education and action to reduce teen victimization, and involve young people in service to their communities. The program develops self-esteem, leadership, and citizenship skills by engaging young people in action to positively affect the circumstances of their lives. Community Works provides information that will motivate young people to take safety seriously, and to make their communities better and safer. Learn how Community Works meets the National Standards of Learning. 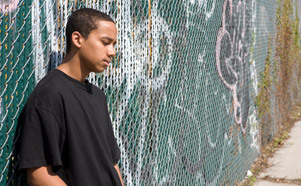 Increase teens’ awareness of their vulnerability to crime and HIV/AIDS. 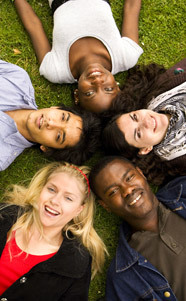 Educate teens on how to protect themselves and their communities. Motivate teens to take action in their communities. Help teens understand the costs of crime and HIV/AIDS, and what can be done to prevent it. Bond youth to the community through increased self esteem. Increase teen empathy towards victims of crime and HIV/AIDS.